Despite one of the most brutal winters in almost 30 years, and a Tea-Publican Congress that continues to sabotage the U.S. economy with its failed austerity economics (cutting food stamps, failing to extend long-term unemployment insurance, failing to pass a single jobs bill), the economy still managed to show signs of life in February. The new report from Bureau of Labor Statistics shows the U.S. economy added 175,000 jobs in February, beating economists’ predictions. The unemployment rate inched higher to 6.7%, though as we’ve discussed many times, that’s not the metric to watch. In a rare occurrence, public-sector layoffs did not drag down the overall employment figures. Though most months in recent years have shown monthly government job losses, in February, the private sector added 162,000 while the public sector added an unusually high 13,000. Adding to the good news, the job totals for both December and January were both revised up a little, pointing to an additional 25,000 jobs that had been previously unreported. All told, over the last 12 months, the U.S. economy has added over 2.15 million jobs overall and 2.19 million in the private sector. What’s more, February was the 48th consecutive month in which we’ve seen private-sector job growth. We are still down 200,000 just in Arizona from our 2008 peak employment level of 2.65 million. We haven’t seen economic weakness like this since the great depression. California, however, with a Democratic legislature and Governor, has surpassed its 2008 jobs peak already, and is running a surplus. Yes, this was the worst recession since the Great Depression. Not a surprise, since the intervening recessions were business cycle recessions and this one resulted from a collapse of the financial system, as did the Great Depression, a dsitinction that’s not lost on you but which you ignore when it’s expedient to do so. But it’s interesting to see which state level policies seem to be more effective. True. After multiple tax cuts for businesses from the Arizona legislature since 2010, out of blind faith in supply side “trickle down” economics, there is no evidence this disproved and discredited economic theory works. 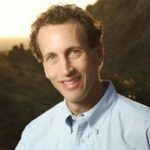 In past years, Arizona could rely on rapid population growth to gloss over the failure of this economic theory. But with a relatively stable population during the Great Recession (our first population decline early on, followed by some recovery in recent years), the tax cuts just result in a structural revenue deficit, which the Tea-Publicans use as another excuse to cut spending on vital programs (education, healthcare) and infrastructure. With evidence of a prolonged mega-drought in the West, http://azstarnet.com/business/local/usda-drought-declaration-now-covers-all-of-arizona/article_206e41c8-b70a-5a50-81fc-63d28778ea91.html, this may lead to water emergency measures being invoked this summer which will ration water and could lead to building moratoriums that preclude relying on rapid population growth in the future. The urban sprawl rapid population growth model Arizona has relied upon since the end of World War II is over. 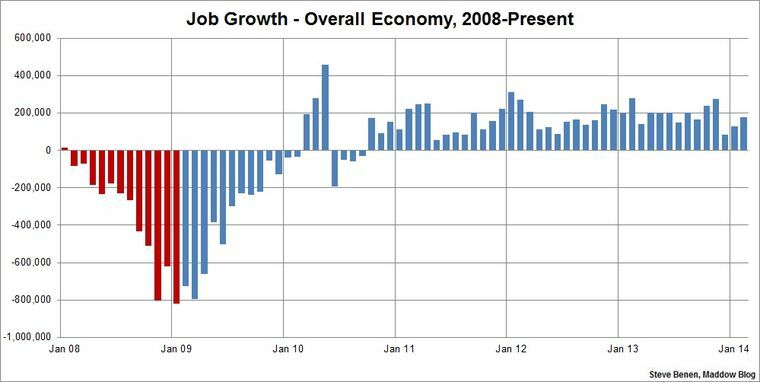 Read your graph- 21 months in last four years had higher job growth. If you take the last 3 months as a quarter, there have been 12 quarters in the last four years with higher growth. 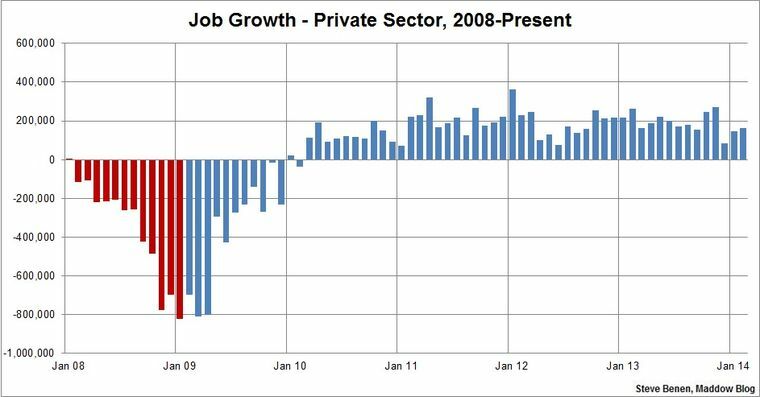 And, the last four years have been a disaster for job growth. And, we have not begun to discuss the deterioration in job quality. Way to ignore the “elephant” in the room — GOP obstruction of all jobs bills and all infrastructure spending, and the insane GOP sequester which is taking money out of the economy instead of priming the pump. The Tea-Publicans are engaged in the sabotage of the U.S. economy — this is economic terrorism for which they should be run out of Congress on a rail.